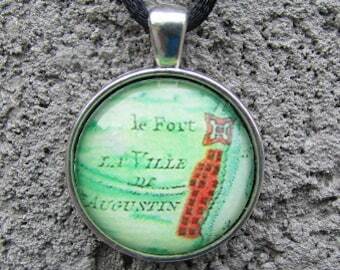 This vintage style necklace features a replica of a historic map of Charleston, South Carolina. The map titled, The United States of America laid down from the best authorities, agreeable to the Peace of 1783, was created by John Wallis in 1783. The original map was hand-drawn and colored in beautiful tans and browns. 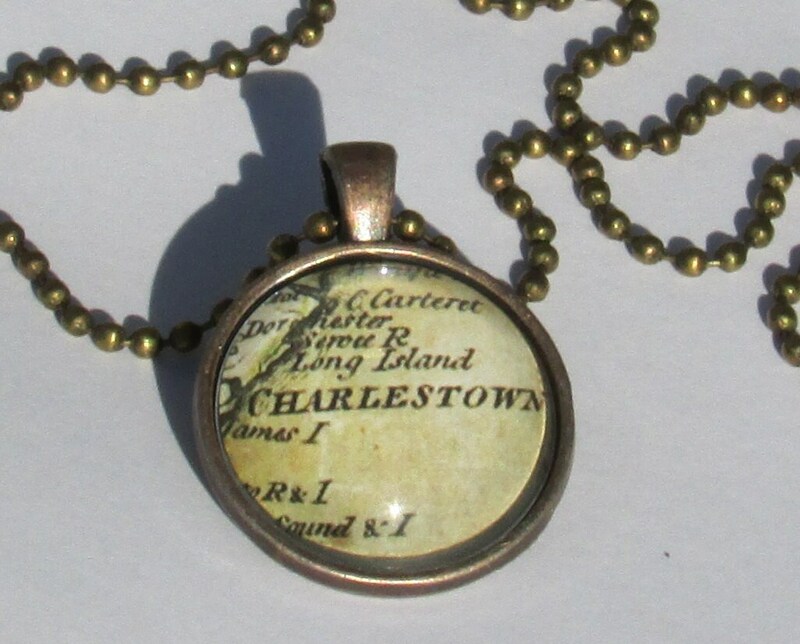 The map replica is set in a circular antique-style bronze pendant tray. The pendant measures approximately 1 inch across and hangs from an 18 inch bronze ball chain. The back of the pendant tray also has a detailed pattern. The finished glass cabochon is domed shaped and magnifies the image. Please note: There is a small shadow around the right and bottom portions of the pendant.